One of our most popular blog posts explored personality traits successful shopper marketers possess (for instance, shopper marketers need to have a balanced right and left brain!). Most of those traits cannot be taught, you either have them or you don’t. Screening future employees with psychographic assessments may be a good idea and will save you frustration down the road, however relying solely on personal qualities and ignoring experience and skill wouldn’t be wise. Let’s explore the real-life skills and prior working experiences modern shopper marketing teams need to be agile, dynamic, and effective. The abundance of shopper data is overwhelming CPG marketers, and most can’t take advantage of the insights available in that data because of the lack of bandwidth, tools, or skills. 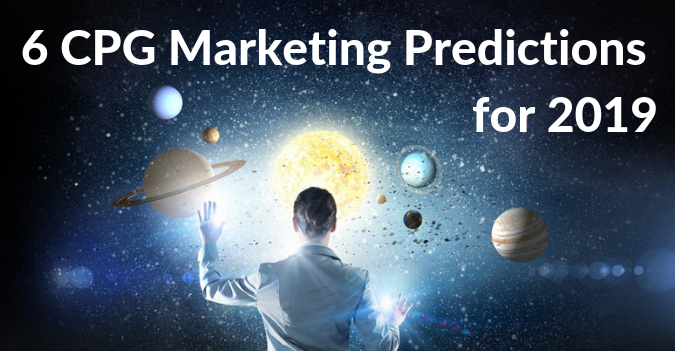 Do yourself a favor, find a person who can be the champion of your shopper analytics capabilities, tame the data, tell stories with numbers, establish new systems, standardize inputs, lead the measurement process and help marketers constantly experiment, iterate and improve their programs. 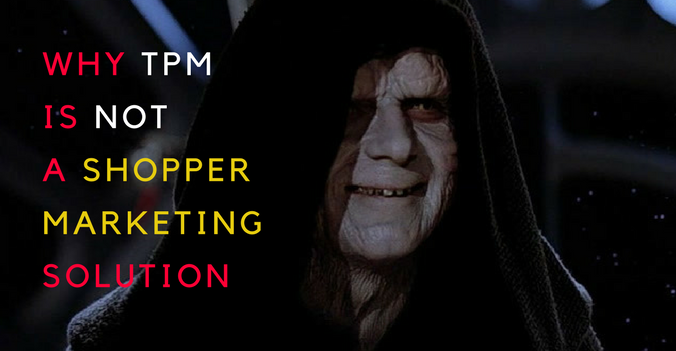 Unlike in the past, when marketing used to be associated with big advertising ideas and was considered a pure art form, today’s winning marketing teams know “the devil is in the details” and are proficient in split testing, optimizing coupon offers, building sophisticated trigger-based campaigns and running tactical attribution models. 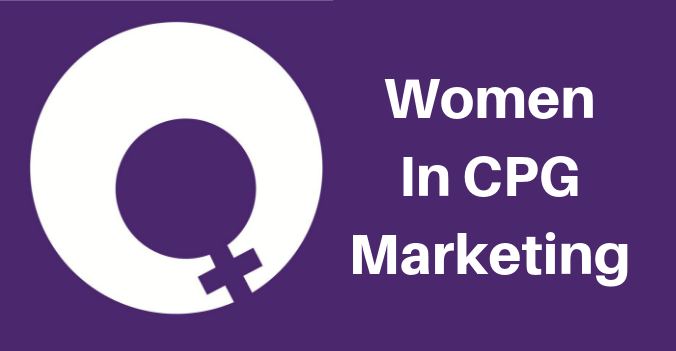 The real world of CPG is often quite different from what we imagine it to be, sitting in the ivory tower of a corporate office. Look for a team member who has store operations experience. People who worked in retail stores know how to design programs and point-of-sale materials that actually work. They will quickly spot unrealistic ideas and will help you make adjustments to your in-store displays and signage so they withstand the test of real life. They will tell you how to create meaningful incentive programs for store associates, deal with DSD vendors and work with your customers’ store operations teams on aisle reinvention projects. 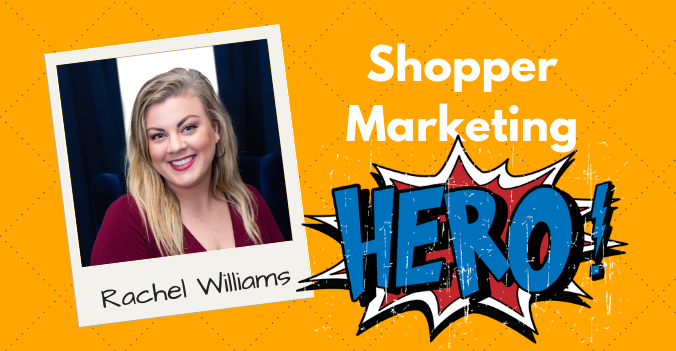 These people may not fit your classic shopper marketer profile, but having them on your team will give you the much needed “street smarts” that many of your competitors won’t have. Probably one of the biggest mistakes we see CPG companies make is not investing in shopper insights capabilities. 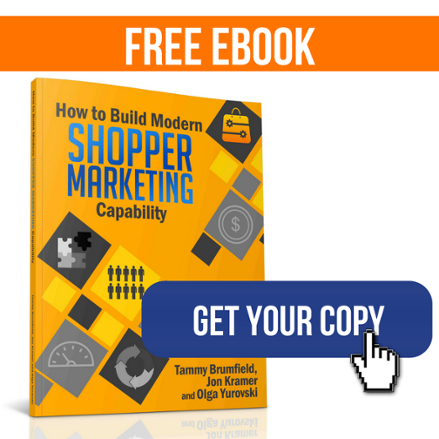 The foundational shopper-centric research must be the cornerstone of your go-to-market strategy. Without it, your team will risk becoming “coupon people” for your sales organization or an “in-store tactic” for your brand team. Look for a person who knows qualitative, attitudinal, ethnographic research methods and is passionate about retail. Their job will be to inspire your shopper marketing team to create ultra-relevant solutions and messaging by uncovering deep, emotional, unmet shopper needs. 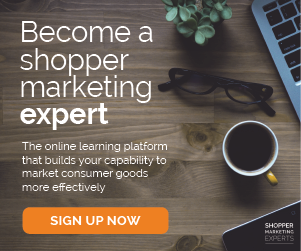 A talented shopper insights partner will elevate your team’s shopper empathy and help them uncover the potential and the true value of shopper marketing. Every successful team needs a hustler. If you can’t or don’t want to be one yourself, make sure you have them on your team to build rapport with your retail clients. While client “entertainment” is slowly yielding to data-driven sales processes, let’s be realistic: your clients are humans, and humans like to deal with people they like. Your sales person’s main job is to spend face time with clients, figure out their learning style, understand their career goals and team priorities, learn about challenges they face. 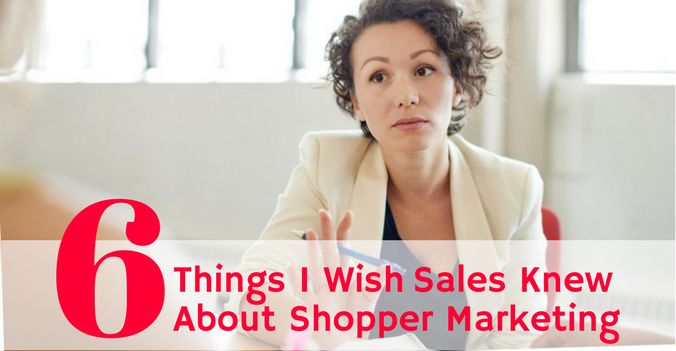 This is crucial business insight that — in combination with shopper insights — should make your sales pitches irresistible. Don’t delegate all the rapport-building to your sales organization, your team should have a direct line of communications with your retail clients, especially, their marketing departments. As a natural-born networker, the Hustler can also be invaluable in reaching out to and creating partnerships with other companies and brands, another source of your competitive advantage. Design is the source of competitive advantage for any business in the 21st century. Your team can elevate its reputation if they learn how to brand themselves, tell visually appealing stories, create stunning sales presentations, capture shopper attention with breakthrough collateral, and build seamless user experiences. While design is often thought as a marketing agency capability or a resource shared across clients, consider having a dedicated designer who works closely with your team. You could even hire a senior in-house design expert to help set a new tone and drive for design thinking. A talented and experienced professional who is trained in design thinking will see beyond artwork design. They will be able to visualize how different parts of your process fit together, spot inconsistencies, design marketing experiments and help you rewire your organization in a way that positions it for growth. Brand management is one of the most popular sources for shopper marketing talent, and it’s easy to see why. They often are well educated, articulate, polished and groomed to be future company leaders. A good brand manager will bring longer-term, strategic perspective and discipline of thought to a busy shopper marketing team that tends to be stuck in tactical, reactive fire-drill mode. In addition, because they speak the headquarters language, former brand managers can help you shape your shopper marketing vision and evangelize it internally and bridge the brand and sales silos. 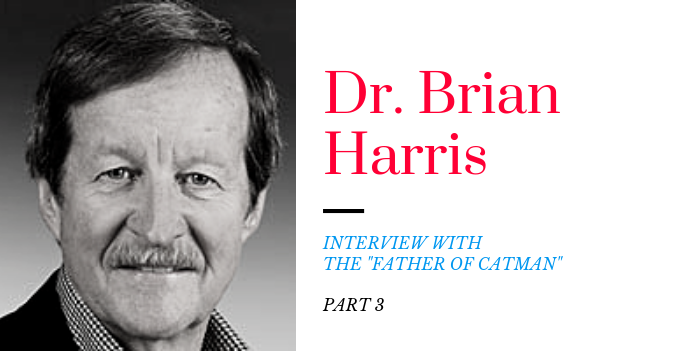 Hard features and benefits selling no longer breaks through the clutter. You have to win shoppers’ trust and build your brand’s online reputation. Queue the Content Marketer! He or she will seamlessly navigate the modern world of social and digital media, inspire shoppers with irresistible, fresh (maybe even viral) ideas, get your products on the shopping lists, guide the shoppers to your and your customers’ e-commerce sites and physical stores. Content marketers are often the communication bridge between the shopper and a business. Great content marketers understand people and what motivates them, which makes them a valuable asset for the entire shopper marketing team because they can be the voice of the shopper inside your organization. This is a relatively new discipline in CPG, so cast a broad net and seek talented content marketers across many industries. Content marketing can also set your team apart when it comes to building on-going conversations with your retail customers and position you as a domain expert who they turn to for business advice and to collaboratively solve their business and category challenges. 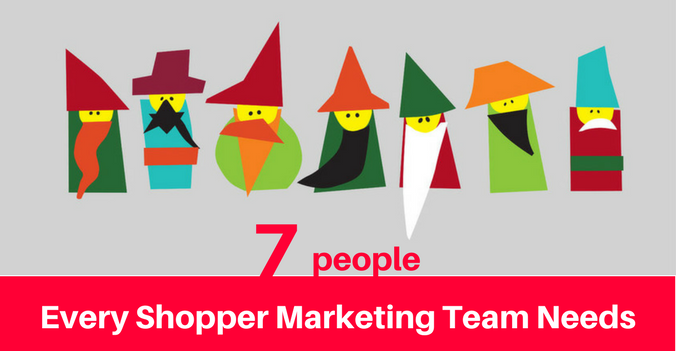 Do you already have a shopper marketing dream team? What gaps in collective experience did you identify? Would you change any hiring practices in the future? We would love to hear from you.